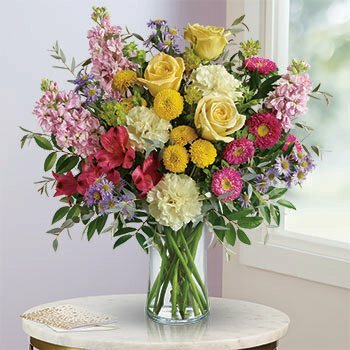 Teleflora Spring Flowers- 25% Off Now! 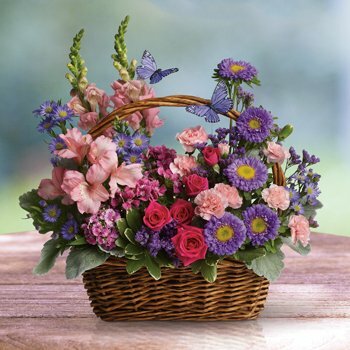 Show a loved one you care by sending an incredibly heartfelt hand-delivered bouquet, basket, or plant from Teleflora. Offer is available through Teleflora.com or by calling 1-800-493-5610. Promotion code EMP041419A valid through 4/15/19. May not be combined with any other promotion and is not valid toward previous purchases. Not valid at retail locations or affiliate sites. Gift cards and taxes do not qualify for the offer. Offer terms and conditions are subject to change at any time. This email was sent to: . If you no longer wish to receive exclusive promotions and offers you can unsubscribe from promotional emails. You will still receive emails from Teleflora related to your orders and account. Comments? Questions? Please contact us at service@teleflora.com. Don't miss out! Make sure to add teleflora@email.teleflora.com to your address book. © 2019 Teleflora LLC. All Rights Reserved. TELEFLORA, MAKE SOMEONE SMILE, BE HAPPY, PRESENT PERFECT, SEND A HUG, and the accompanying logos are trademarks of Teleflora. All other trademarks are the property of their respective owners. 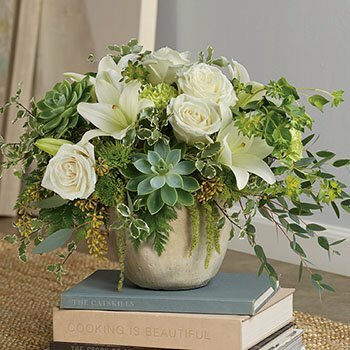 Teleflora LLC, P.O. Box 60910, Los Angeles, CA 90060-0910 USA. 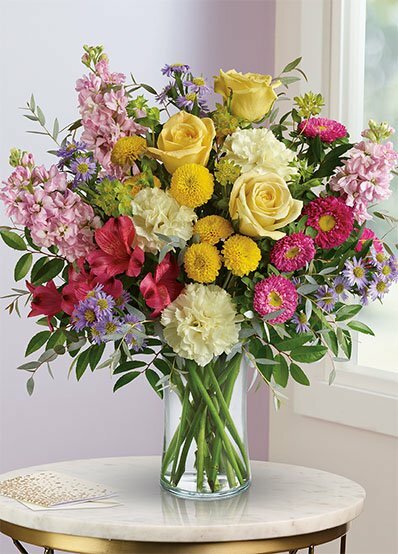 Save $15 On Our Top 4 Teleflora Flowers!